Jeffrey Combs faces Marc Singer in this first round match of the FA Cup of Actors and it's got the potential of having a scoreline that your average football match could have. (I'll tell you now that Singer's entry isn't looking promising.) Anyway let's see what Jeffrey Combs is like in a goalmouth scramble. I thought I'd escaped these pesky undead shamblers for a while after last year's Year of the Dead season. But no. Up comes this abomination as Combs' entry. The DVD came with two pairs of 3D glasses, not the posh new ones that would mean I'd need to fork out a fortune on a new telly but the old red and blue ones. 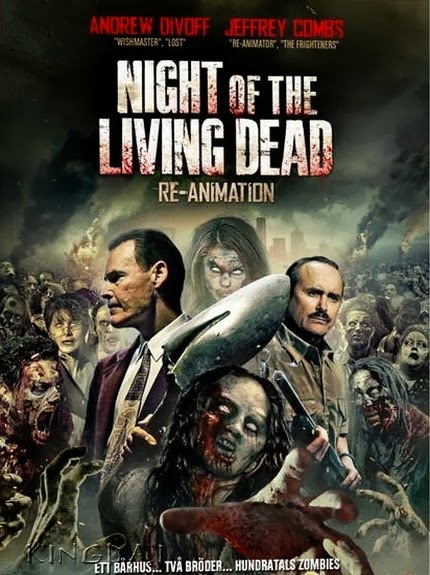 I thought - in my stupidity - that the 3D aspect, plus the presence of Jeffrey Combs, would at least make it fun. I gave up on the glasses after about fifteen minutes. 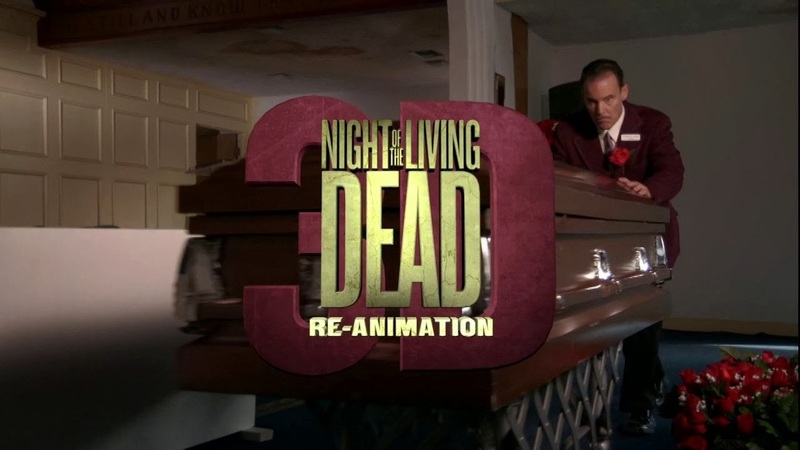 The 3D isn't even as good as Friday the 13th Part 3 and it started to make my head hurt. Suffice to say all of the usual 3D fun and games is present; things are thrust at the camera with stunning regularity and predictability. The other downside of the process is that the colours look very murky and brown. It makes a dour experience even worse. 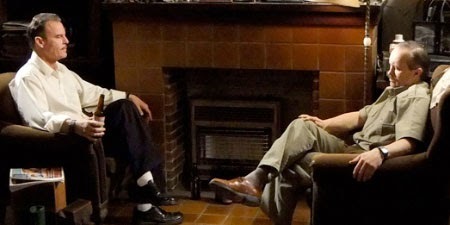 The first half of the film pretty much involves people chatting, normally in pairs. Establishing shots, then close-ups of the two actors abound. For ages. And ages. It wouldn't be so bad if what they were talking about was interesting. It's not. I suppose I better get round to the plot. 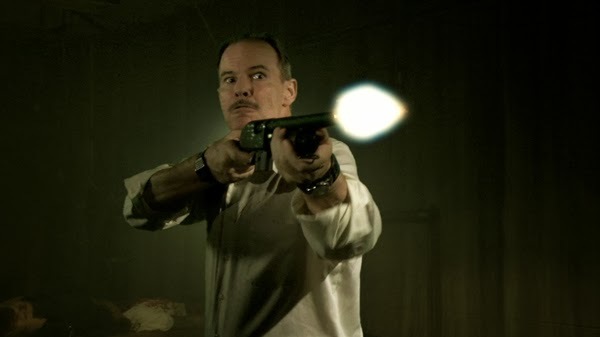 Gerald Tovar (Andrew Divoff, from the low quality Wishmaster) runs a mortuary. But - and I can't believe I'm back to writing this so soon - the dead come back to life and some flesh munching ensues. 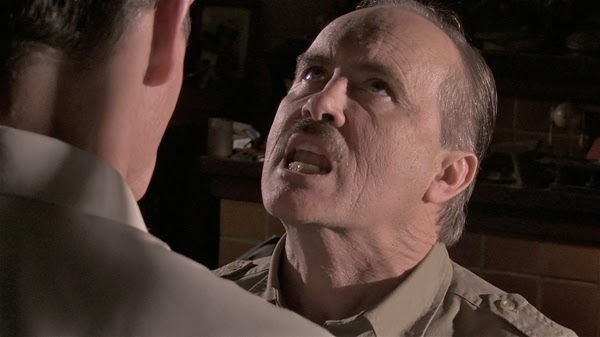 Along comes Gerald's brother, Harold (Jeffrey Combs) who is in debt and needs some cash desperately. As you would in these situations, he comes up with an organ harvesting idea. Throw in a scene of necrophilia - probably written by a thirteen year old lad - and you're in for a classy experience. It's all quite embarrassing really. The acting is pretty dire all round and makes this look immensely cheap. Despite that I found Divoff easier to watch than Combs, which surprised me a fair bit. Combs hams it up so much I half expected him to launch into a rendition of "Munch, munch, I want my lunch. Tea and breakfast too." (Many apologies for the highly obscure Porky Pig reference.) The worst offender in the acting stakes has to be Sarah Lieving. She wanders round - or even just stands - with the strangest baffled expression on her face. It looks like she's been given Xylazine just to get her through the whole sorry mess. The effects are also poor. Surely one of the points of a zombie film is to see some poor hapless fellow have his head blown off with a shotgun. It's not that tricky. Make a fake body and head filled with all manner of loveliness. Add a blood pump or two. Then blow the head off. Gorgeous. Nope, not here. Rubbish CGI abounds. 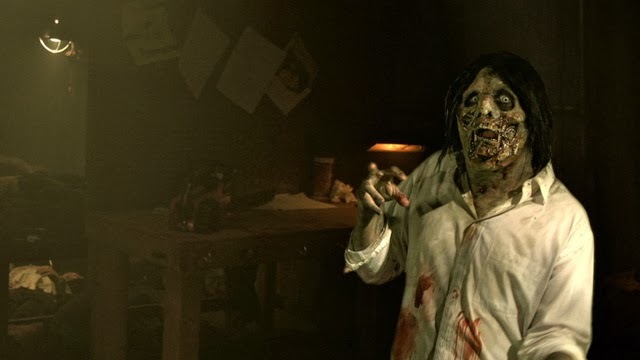 Saying that, the make-up effects on the zombies are not too bad. Standard issue, but professionally done. There is one positive to this debacle. A scene that crops up about halfway through takes place in the crematorium and it is pretty atmospheric. You can almost smell the stench of rotting flesh - though sadly, this isn't helped by the overuse of buzzing fly sound effects. The points in the final rating all come from this one scene. Don't be fooled though, it really isn't worth the price of admission. So my return to my rotting chums hasn't been the happy family reunion that it could have been. I was hoping for something along the lines of Dagon to come up as Jeffrey's entry but I suppose I've got to take whatever the random film generator throws at me. Now, you'd think from the rating that Combs is well out of the FA Cup. Just wait for Singer's entry and we'll see. Having a look at any of the good entries from the Year of the Dead season. Great review. This is one I've not covered yet and after reading this I don't think I'll be in a hurry either. Nice site I'll be sure to check out more thoroughly. Your review is spot on. The line: "It's all quite embarrassing really." pretty such sums up the whole movie perfectly. I think seeing Combs with a mustache is the only highlight. I suppose that mustache is pretty splendid.